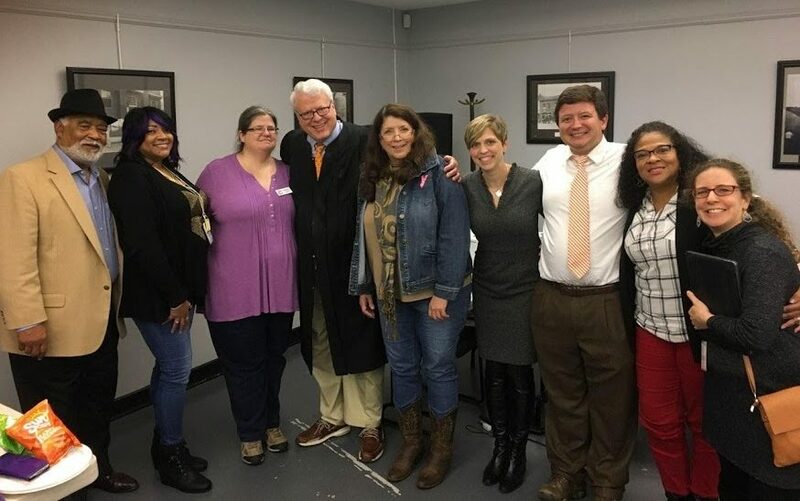 October 28, 2017 was a memorable experience for hundreds of citizens and volunteers who participated in the first FREE Knox County Expungement Clinic at the Beck Cultural Exchange Center despite the inclement weather. This expungement clinic concept was brought to Vet to Vet Tennessee’s attention by one of the first Veteran/Military Friendly Ministries in the nation; Knoxville Step Up. A new loving community emerged as over 300 individuals were served by over 100 volunteers. People caring and helping each other made this event a miracle. The expungement clinic is a partnership among Knoxville Community Step Up, Beck Cultural Exchange Center, The University of Tennessee College of Law and Vet to Vet Tennessee with volunteers from Knox County Mayor Tim Burchett, Knoxville Mayor Madeline Rogero, The Tennessee Faith & Justice Alliance, the Knoxville Bar Association, the Knoxville Barristers (the Young Lawyers Division of KBA), Legal Aid of East Tennessee and the Knox County Public Defender’s Community Law Office. Vet to Vet Tennessee’s volunteers included Don Davis, Freddie Owens, Ed Junod, Karl Griffith and Randall Scott. Monroe County General Sessions and Veterans Court Judge Dwaine B. Thomas attended the clinic and agreed to schedule an Expungement Clinic in Monroe and surrounding Counties with a partnership with the Expungement team in March 2018. We thank God for this amazing life changing event and the countless unnamed volunteers. Click here to view more clinic photos. If you like to share your comments about the event or would more information about the Monroe County Expungement Clinic please leave a message below or contact Vet to Vet Tennessee at 865-336-2624.